If I haven’t mentioned it yet, I am an avid Craigslister who constantly shops the site without a dime to my name. One day in November I was looking through the RV tab and usually would be disappointed but on this lucky day there was a new one, just listed. It was a 32 ½ ft. fifth wheel, 10 yrs. newer than ours, with 3 slides. I guess I should explain what we started out in, a 1993 26ft with only one slide, this meant that the lil one didn’t have her own ‘room’ and we had to climb or roll into and out of the queen bed. 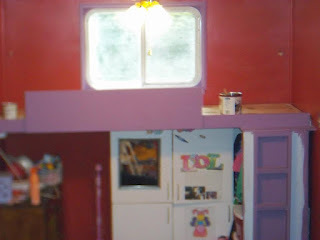 The one listed had five more foot of living space and was much wider as the kitchen and the dinette area both slid out, plus we could walk around the bed, with a huge closet in our room. To make this even better it was only $2500 dollars, $500 less than the older one we were currently in. I was in love with it and the price was right, if only we could find the funds. I called and set up a time to look at it, right off the bat she told me it was not moveable and that the dinette slide wouldn’t slide in. I knew this was the reason it hadn’t sold yet, this was the third time they had listed it for sale. We loved the looks of it; of course it needed new flooring, as it only had plywood at this point, and new furniture, not to mention fixing the slide, no problem, right? Not for us, we had done a lot more with a lot less in the past. Now if only the funds would come thru. We gave them the majority of the hubby’s next check as ‘good faith’ money, told them we would pay it off in a week. We had absolutely no idea where the funds would come from, unless we sold the 1993 we were living in first. Sounds easy right? It was only a week or so of worry and stress and more good faith monies until ours thankfully sold. The ones who bought it needed it pulled for them to the spot where they were building a house. As it happened they didn’t need it until the weekend and we had all of three days to buy the new one, move it to the site next to us, lay floors and move in. My naivety really paid off this time, for some reason I thought I could walk everything from one camper to the next and store it in its spot. Boy was I terribly wrong. Never did I think I would need anything to tote the stuff in, nope, boxes were not on my mind. Until I had to move everything in drawers, shopping bags, well anything that was a vessel of some sort, even the big mixing bowls I had hung onto. Anything and everything that would carry stuff was used. We worked our tails off for a few days and had a new home to enjoy and tour the country with. An added bonus was thrown in too; instead of a sitting area with recliners we added a bunk bed for the lil one. 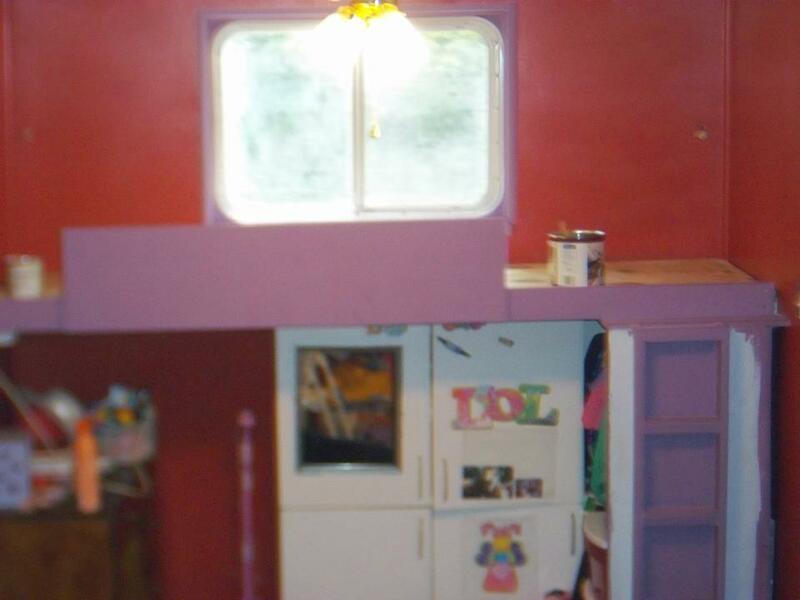 A neighbor had some upper kitchen cabinets they were throwing away, another one had new bunk mattresses to give us, it was all coming together. The adopted grandparents would search for rugs, furniture to eat on and a desk for the lil one at the flea market every weekend. I only fell out of the new one once while moving into it; I had fallen and hurt my heel four days prior to our maiden voyage while moving into the 1993 too. The RV steps and I absolutely do not get along, I have fallen in and out of these things more times than I care to mention.